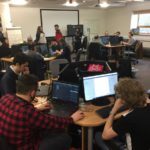 Jamfuser, UK Games Talent and Finance’s first ever games jam, concluded last month with over 30 graduate teams having participated right across the UK. Graduate games developers, particularly those with an interest in applying to this year’s Tranzfuser competition, were invited to sign up to the weekend-long game jam. Teams could work from Local Hubs in any way they chose, the only strict rule set out by UKGTF was that all valid entries had to be submitted by a set deadline. Game jams traditionally work with a ‘theme’ so that there’s a common strand connecting the various projects. ; Jamfuser’s theme was ‘Junk’. Teams were tasked with building and submitting a game around the theme of junk in 72 hours. “Our first ever games jam was a huge learning experience for all involved and, I’m delighted to say, a great success. We decided to run Jamfuser for the first time this year on the back of suggestions made by past Tranzfuser competitors – a true testament to the value of such events on real-world games development. 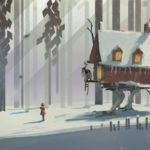 Teams were tasked with ‘shipping’ a game on a commercial platform – itch.io. Each team was assigned mentors to work with for the duration of Jamfuser (one of the great benefits of having such an engaged community of professional games development professionals is that we have a pool of rich resource to draw from for such things!). The winning submission from Team Milksop with The Last Spark. Awaking in the midst of a dark and lonely junkyard, Sparky the battery rediscovers his worth and relights his spark for life. Playing as Sparky, enlighten the stylized grey scale junkyard with colour through the power of recycled generators! Avoid energy zapping traps, make new friends with appliances and use the rechargers to navigate through 4 uniquely crafted areas, on your mission to escape the junkyard and start your brighter, regenerated life. Based at Futureworks in Manchester, the team also had some colleagues working remotely in Warrington and Liverpool. 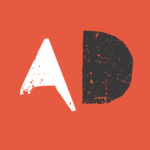 “The game jam was an amazing experience for our team. We had new members and it really acted like a perfect team building exercise and over the course of the weekend, our communication and teamwork improved tenfold! 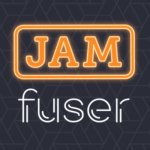 All games submitted to Jamfuser can be downloaded here. Tranzfuser 2019 has just opened for applications. See the Tranzfuser website for more information.